* Excellent for Professional Photographers, Tradesmen and DIY enthusiasts. Also ideal for late night mechanics or setting up your campsite! 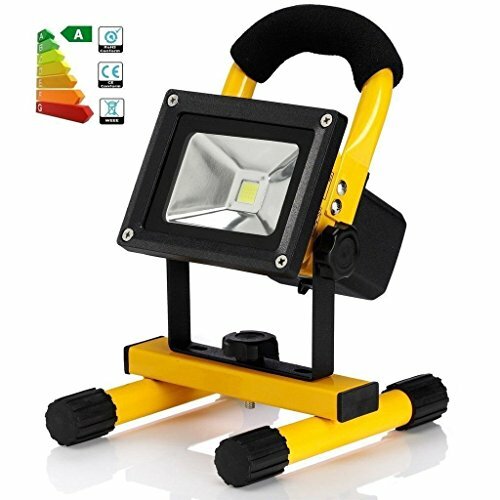 This IP65 Waterproof Work Light has a multitude of uses. * Rechageable Battery. Can be charged by 3 pin plug 240v AC/DC charger and 12v DC In car charger both included. * The bottom support can make the light stand. It also can be separated from the main body. IP65 dust and waterproof.Portable and Light weight, easy to carry .Cordless Recharge Emergency led and you can take it anywhere you need to go. Built in high quality rechargeable lithium battery and one USB output ports as a power bank to charge your digital devices, make your Camping,Hiking,Fishing,Barbecue, Party and Car fixing life safer and happier than ever. If you have any questions about this product by earlybird-fly, contact us by completing and submitting the form below. If you are looking for a specif part number, please include it with your message.